No matter how big or small all our website designs start life on a piece of paper. Only when we are 100 happy with your design will we move on to the development stage. We have very strict standards when designing any type of website it must be clearly laid out, easy to navigate and validated to W3C standards. Spaghetti Weston is a creative design agency based in Rochester, Kent. We produce creative concepts in various formats including film, photography, web and print media. At Clickspeed we firmly believe in providing an honest, value for money and courteous service to our clients and associates. Our aim is to put together the best quality and most suitable web site for your business at the best possible price. Operating on the premise that the customer comes first, you will find our support and attention to your needs second to none and our number one priority. 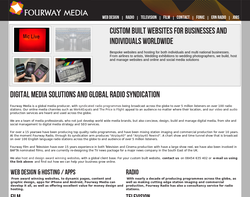 We have built web-sites for some of the biggest radio groups in the UK, and a number of high profile clients, but we don't forget anyone, and also have a number of individuals and small business sites in our portfolio. 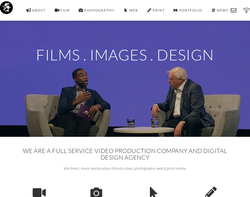 Aswell as web design, hosting and e-mail support, we have access to audio and video streaming and production to offer a truly multimedia experience. We aim to offer top quality at a fair and competitive price. 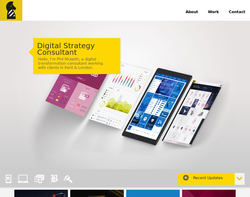 Novamedia is a web design consultancy based near Bromley, Kent that realises the importance of fusing good web page design with functional but unintrusive technology and allying the two with effective communication and compelling content. 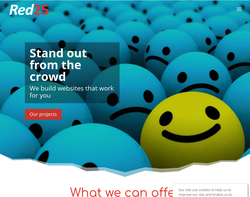 Website Design, Joomla development specialist and supplying customers as far as Nottingham. 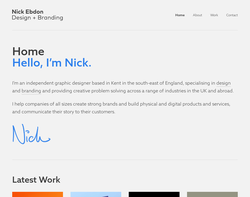 Nick Ebdon is a multi-disciplinary graphic designer based in Maidstone, Kent and specialises in producing creative solutions for identity and branding, advertising, print, and new media. From simple template driven websites to dynamic sites using content management, as standard our solutions are web optimised. Its our aim to produce creative solutions that work in the real world. 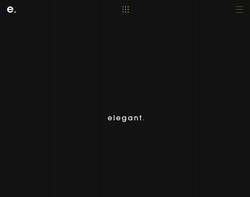 We believe our style of design to be clean and fresh, with speed in mind. We will work with you to produce a website that is clear, functional, fast and above all, one that will sell your products/services. Owning a website is an important part of marketing your established business and you need to grab your customers attention. We will help you stand out from the crowd Through functional yet distinctive appearance, our websites are designed to engage your specific target audience. We listen carefully to your needs and focus on presenting your information clearly, appropriately and effectively: our aim is to turn your visitors into customers. We offer you a complete website solution tailor-made to your business, including hosting, domain name and email address. Whether brochure-style or e-commerce, we will create an interactive and memorable user experience. We can offer the following design services. Website Design Hosting Online Marketing E-Commerce solutions Traffic analysis Search Engine Optimisation Intuitive Usability and Accessibility Web Standards Compliant Helpful friendly support. We pride ourselves on offering a friendly and reliable service. Using our experience of the latest Internet technologies to deliver designs that comply with the latest accessibility standards. 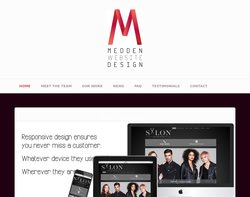 Whatever your requirements, you can trust Medden Website Design to get you online. The Internet is a rapidly changing place. Technology advances at such a break neck speed that web site owners often find their existing websites begin to look dated or obsolete quicker than any other media. Websites need to be an integral part of every Company's IT Strategy. Small businesses need to know exactly how the web can benefit their business more than ever before. At adesiyan.com, we have the technical know-how to provide your company with a comprehensive website development service. Well analyse your needs, come up with solutions and alternatives. We will carry out all the necessary designs in our office or yours, depending on the sensitivity and Security required. 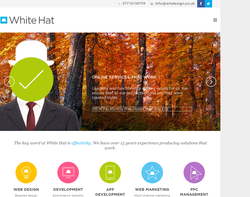 Dynamic, highly effective websites capable of attracting praise, visitors and business. 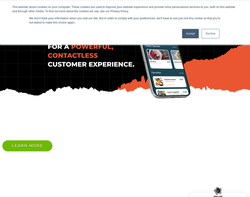 Whether you need a colourful and quirky game-laden site, or a polished and professional e-commerce solution, you can trust Wickedweb to deliver. 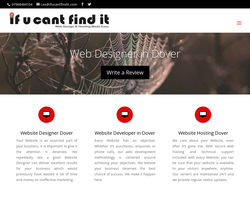 ifucantfindit is a Website Design Company in Dover, Kent with hosting and email forwarding. 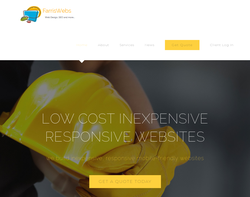 We can Design your Website for the company, business. 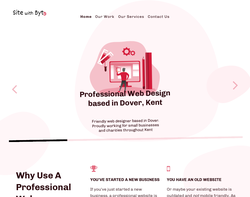 Webdesign in dover. 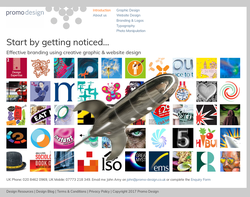 We are an independent and imaginative team providing web design & graphic design services. Based in Bromley, South East London, we quite simply love the work we do. When designing for web and print we focus on relevant design solutions. The web design and graphic design services we supply are delivered on time and to budget. 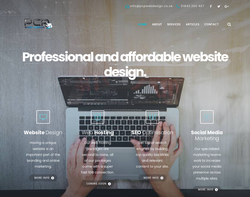 At graphite the web designer and the graphic designer give our clients the reliability, accuracy and creativity of a big agency coupled with the personal service of the best freelancers. If you're looking for a web designer or a graphic designer for your next project, please have a look around our site, or call in to the design studio in Bromley, South East London. 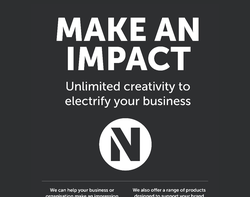 Our clients range from corporate and non-profit making organisations, through to small businesses and sole traders. Were very proud of the contribution our web design and graphic design has made to them. Welcome to our web site design information page. Here you will find information relating to our services as web site designers for small businesses and individuals. 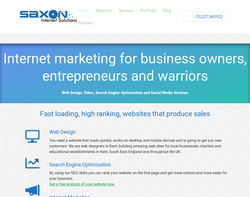 We can give your Small Business an Internet presence for less than you might think. Your web site is an extension of your existing advertising and a showroom for the whole world to see. Potential and existing customers can view your company profile and see the services that you offer with pictures and an interactivity which is not possible with traditional paper methods. A successful on-line marketing campaign can put you in touch with new clients and contacts. 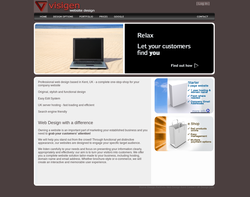 The web site design service that we offer is aimed at medium and small sized businesses, and professional individuals. As a freelance web designer, I can create an affordable, effective web site for your company or yourself either from new, or from an existing web site, or from your ideas that you may have laid out already. I will work with you to create the corporate feel that you require. 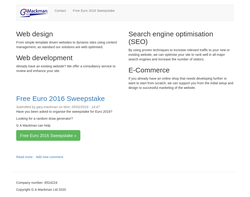 As part of the web site design process, I am able to optimise your pages to make them more attractive to search engines - this will help your site to be indexed higher for a given search phrase. A secure e-commerce solution can be built in if you wish to sell on line. 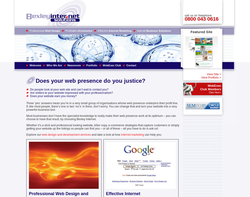 Web site design, promotion and graphics services, search engine optimisation. Pipedream Design and Communication offer Presentation, Web Design, Print Design, Photography and Wedding Stationery services. 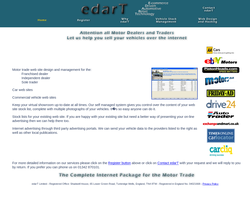 Website Development for Motor Traders. TME is a web design and online marketing agency, established in 2005 and based in Kent with a family run team of 14 creative and enthusiastic designers, coders, online marketeers and project consultants who are there to help you every step of the way, to offer you a truly customized solution to suite your every need from start to finish. Having worked with some of the most successful and profitable companies in the world, TME can help your website become a big player in your market. Just like TME have proven themselves time and time again to each and every client that they are the right choice to help make them a successful and profitable business. 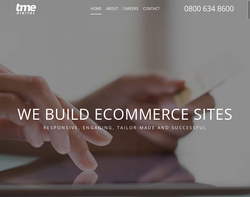 TME have worked with many different types of websites and clients over the years from large parcel delivery sites to vastly successful e-learning environments, online games to very successful e-commerce sites. 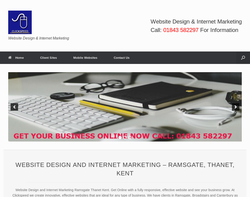 All this coupled with the vast knowledge of the hole team and the fact TME are ready to work with your every need and unique requirements, makes TME the number one choice in Kent for any website that wants to be the best in their market! 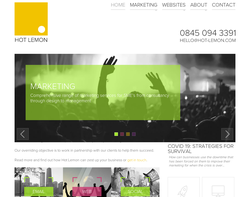 Hot Lemon specialises in cost effective web design and marketing for small businesses in Kent, Sussex and the South East. Noisyspace provides a full range of design services including web design, interface design, search engine optimisation (SEO) and eCommerce. Using the latest technology, tools and techniques we can design and develop your website or interface to be both striking and easy-to-use, and to help you achieve those all important business objectives through good design. Surprisingly affordable, we work with clients of all sizes and sectors from small start up business to large enterprises and public sector departments. We design, build and configure: engaging, competitive and user friendly websites, on a CMS platform that gives you control over your content and configuration, with power to support your business as it grows. STEP 1 - WEBSITE DESIGN You will have the complete website design package: from market research, wireframing, visual design, UX (user experience) to 'what makes them click'. We'll talk you through this step by step, explaining everything in plain English. STEP 2 - BUILD & CONFIGURATION Your business requirements will be met by choosing the right platform for you. Whether you need a simple brochure site, or a more complex, dynamic platform packed with functionalities, we will build and configure it using the latest technology and the most suitable platform for your needs. STEP 3 - SUPPORT We'll be there for you even after the website is up and running. Our support services are customised to provide the best possible solutions for your business - as chosen by You. We're an award-winning web development company that focuses on solving business problems by designing and building the online solutions that our clients need. 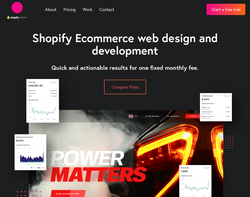 Whilst we specialise in ecommerce development we have over 10 years experience building bespoke applications tailored to customer's business needs and smaller CMS-powered websites. 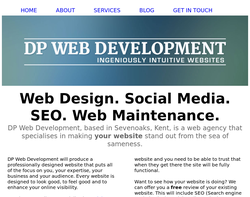 Diztinct is a web design consultancy based between Faversham and Sittingbourne. We offer a range of digital design services including brand identity, responsive websites, app & user interface interface design. 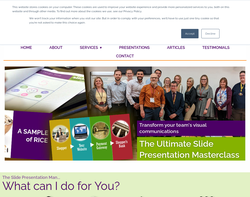 Take a look at our website to find out more about us and see examples of our work. 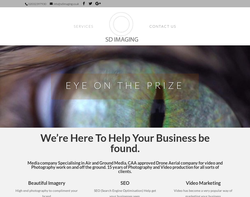 SD imaging provide creative website design and different types of photography services a competitively priced.and also provide search engine optimization , social media management and content writing services. 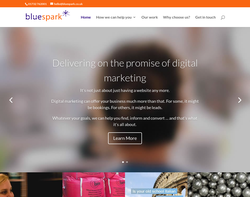 We are a small family run web design agency based in Ashford, Kent. Whether it’s an information website or an ecommerce tool to sell your products online, at Red25 we will create a clean, fantastic looking, mobile responsive site that showcases your personality and style and looks as good on a smartphone as it would on a laptop. We also offer expert copywriting and marketing skills to make sure your website truly reflects and promotes you or your business. Web Style design, development and web consultants was established in 2000. We are a dedicated tight-knit team consisting of Web Developers, Web Designers, Search Engine Optimisation Specialists and Project Managers. Although a young dynamic company, we have a vast knowledge base in web usage, design and implementation of development skills. We also offer package solutions to make your development choice even easier, please go to the prices section on our website. 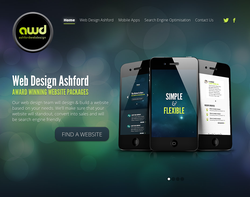 Ashford web design creates stunning websites since 2006 for local businesses in Ashford, Kent and surrounding areas. Our team is highly skilled and considered to be the best in what they do. Were equipped with the skills and tools needed to come up with the results youre looking for. We also take pride in our communication and customer service. We do our best to answer all your queries accurately and in a timely manner. 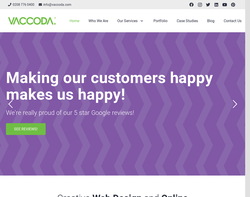 We are Vaccoda, a creative and technical company specialising in web development and marketing. 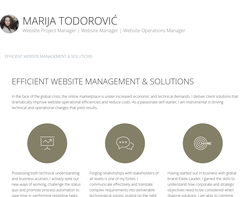 Since 2009 we have been creating web and e-commerce sites, building apps, designing amazing brands, logos and graphics. We are also a well known SEO agency and have delivered proven online and offline marketing solutions, including Google marketing, Search Engine Optimisation, AdWords and Social Media marketing strategies. 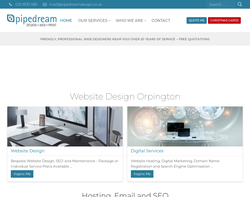 Our Web Design studio and SEO Agency is based in Bromley (Kent). We are in the ideal location to offer a full range of digital media services to companies in London and the surrounding counties as well as covering the rest of the UK and Ireland. We are rightly proud of our nationwide reputation with clients located all over the country. We have built our reputation around our outstanding range of marketing, design, development and support solutions and also our exemplary and unparalleled level of customer service. Client commitment is our number one priority and the long-term relationships we form with our clients ensures they come back to us time and time again. 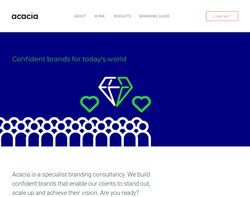 Acacia is a specialist brand design studio on a single-minded mission to help you succeed. Every business large or small has a brand, however few have a genuinely strong brand driving growth and enhancing their reputation. Building stronger brands is what we do, giving you a major edge in increasingly competitive markets. Our expertise covers brand design, brand strategy, web design and development, printed communications, digital communications, communication strategy, brand architecture, website development and art direction. This makes Acacia the only brand design specialist you’ll ever need. We provide a wide range of web design packages and hosting, both web design and our hosting packages can be order separately or together. 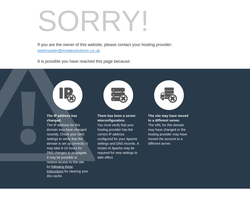 We have three different design packages starting from £275.00 and 5 web hosting packages starting from £1.99 pcm. Specialising in HTML we also have a vast knowledge of Content management systems if one is require for your website. It takes roughly one month for a 25 page website to be put together and ready to go from acceptance of the design. 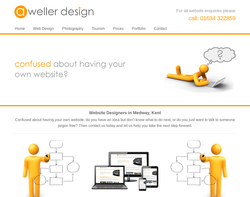 We design and develop bespoke websites from Kent, England. 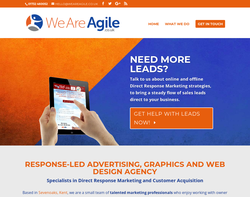 We offer services in most digial areas from email templates to eCommerce solutions and bespoke data driven websites. Hi. 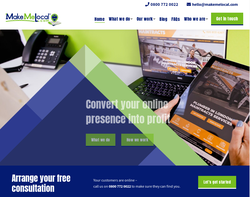 We're Make Me Local - a team of online experts, offering services from website design through to SEO and social media. We love working in partnership with firms who want to make the most of their online presence to help grow their businesses in their local area. Webtex is a Digital Marketing SEO Agency & Web Design Company in Kent offering professional SEO services for small to medium business at affordable prices. Webtex offers professional SEO services that help websites increase their organic search score drastically in order to compete for the highest rankings — even when it comes to highly competitive keywords. Our team of specialists consistently delivers outstanding results combining creative ideas with our vast experience. We can help you build a sustainable, meaningful relationship with your clients by engaging them with your brand using social media. Our agency offers a local SEO search strategy specifically tailored to your location to ensure the right external location signals are sent as well as inbound links, on-page and social signals, and review signals to Google about the locations most relevant to your business. We use marketing strategies that allow you to build a stronger customer base that allows your business to grow organically. We put great effort to achieve higher rankings in local search results by regularly checking the traffic source and continuously re-evaluating information for accuracy. Our team develops effective content strategies for forward thinking companies. We have a proven track record in increasing search engine rankings. We work in areas as diverse as search engine optimization, social media marketing, email marketing and digital marketing. UX Design: From research through to creation, Angle’s UX team use the latest technologies and trends in order to create the perfect user experience. Angle understand the most important parts of a website and carry out in depth research to create clickable prototypes so you can see the finished product for yourself. By combining your knowledge of your target market and Angle’s knowledge of web design, you will have a website and user experience that you can be proud of. Branding: Branding for a company is more than just its logo. It is your uniform, your attitude, your content and even your email signature. In other words, it is the equivalent of a person’s reputation and it can define you as a company. When collaborating with you on your brand, Angle take into consideration what you do and who you are in order to create a brand that is unique and individual to you. Web Design: With a team of experienced designers, Angle can envisage and develop a website that is perfect for your needs. They have both technical and creative experience to ensure that the few seconds you have to grab a user’s attention with your site are not wasted. No two projects are the same and Angle can help find the right platform for your projects that will cater to your audience, your company and your strengths. 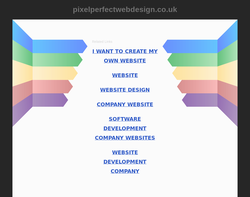 Pixel Perfect Web Design are based in Medway Kent and provide bespoke web design, mobile first, seo, Domain registration and hosting. We offer a range of solutions and put our clients needs at the centre of what we do. 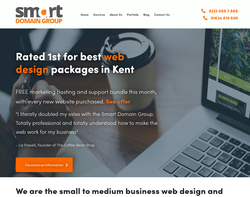 We're a web design business based in Ashford, Kent, and we're trying to raise the bar in website design for SME's by helping them to make better decisions and have better relationships with their suppliers. 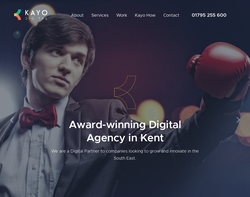 Kayo is a web design agency in Kent that solves problems. We deliver on your dreams in web design, apps and e-commerce. 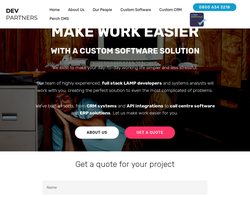 Based in Kent and with over 20 years combined experience, we're a full team of web designers, app developers, software engineers and consultants that deliver your project with the care and passion it deserves.